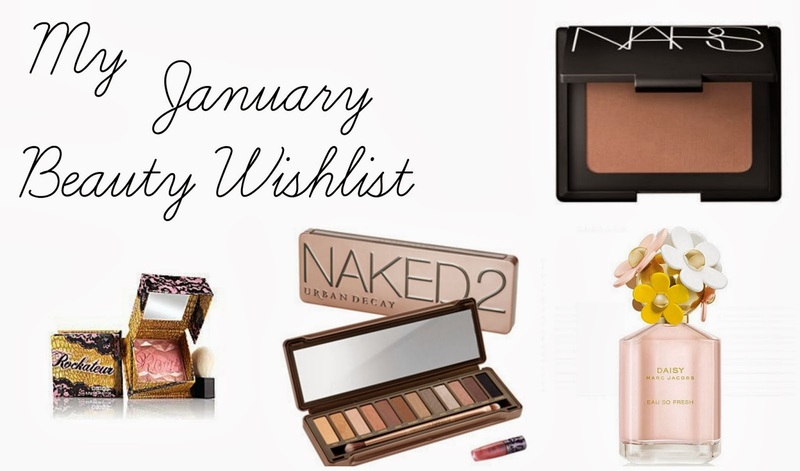 I haven't done a wishlist since November last year and I've recently came across a few beauty products that I really want to try and purchase this month so this post is purely to show you what I have my beady eyes on this month. I am yet to purchase a NARS product so I asked on the #bbloggers chat what I should purchase and most of the #bbloggers recommended the bronzing powder in the shade 'laguna'. I've read up on the product a bit and it sounds incredible so this will hopefully be mine in a couple of weeks, eek, hopefully it will be worth it. I was browsing around Boots a few days ago and took a look through the perfume and this little bottle caught my eye. I sprayed a little bit of the perfume on my wrist, it smells so lovely. If I don't purchase it this month then I will probably ask for it for my birthday next month. I loved the original naked palette so much that I now want the second one too. The Naked 2 palette is completely different from the original, it has much more neutral shades than the first one which I love. Unfortunately it's not in stock at all online so I have to wait until it comes back in stock again, wahh! Last year this blush has been highly raved about by many beauty bloggers, I've read review after review after review about this little beauty and it sounds and looks incredible. I seen this on the shelves in my Banburys store a few months ago and I couldn't part with my money, I wish I just went and purchased it but hopefully this little pot of blush will be mine soon.